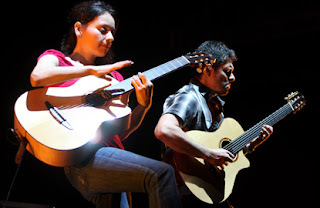 One of my all time favorite artists is Rodrigo y Gabriela. They have one of the best backstories and fought hard for their unique artistic vision. And they make great music. They worked on the soundtrack for the latest Pirates Of The Caribbean and it is some great stuff. Pirates and RyG - how can you go wrong?